Both Samsung and Apple have an uphill battle to maintain public interest and high sales figures in a time when customers are holding on to their devices for longer, and there’s a growing interest in repairing handsets rather than replacing them. The smartphone market has reached an apparent saturation. Smartphones introduced over the last few years have been able to meet consumers’ almost all ası smartphone long needs on a long-term basis. Because the market has reached a certain saturation, giants such as Apple and Samsung are trying to offer more interesting features on their devices to keep their sales up. While Chinese companies such as Huawei, Xiaomi are coming from the bottom up, Samsung-Apple is still controlling the smartphone market. Samsung has surpassed the expectations of consumers with the Galaxy S10 and has already become one of the most popular smartphones of the year. The Galaxy Note10 will come with more advanced features than the Galaxy S10, and Apple will have to offer more than just its competitors to compete with Samsung on iPhone 11. Apple, unlike Android competitors, develops technological developments based on experience not hardware-based. 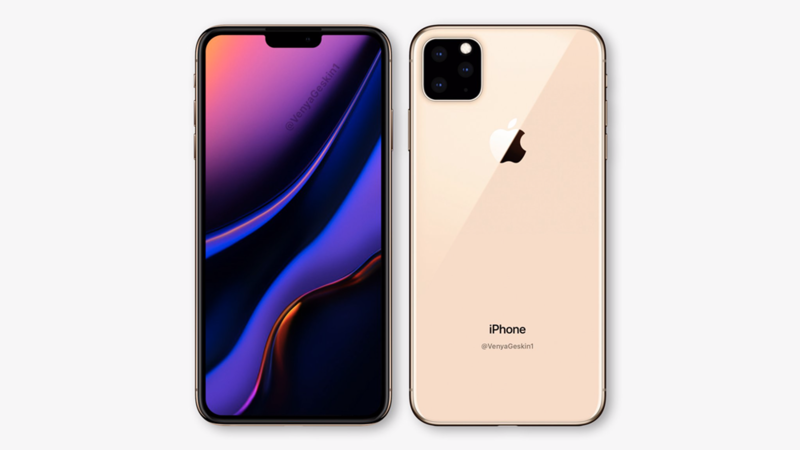 In other words, the innovations introduced by Apple do not seriously change the appearance or hardware of the device, while the smartphone significantly improves the user experience. Here are three important features that will allow Samsung to leave behind Samsung once more on the iPhone 11. Apple, iPhone Xs family with eSIM technology announced. This technology makes it possible to connect to operators without using a physical SIM card thanks to the built-in hardware inside the device. The device also has a physical SIM card slot. Thus, the iPhone XS family becomes a dual SIM card. But Apple can do much more than that. For a moment, imagine that eSIM supports a temporary transition between operators while maintaining the number you have. This allows you to switch between operators in special situations, such as abroad travel, and you can make significant savings on your phone bill. Of course, such a feature is much easier to say than to do. But if a company is going to do that, why not Apple? If we say that Apple already has the most secure face recognition on the market, everyone will join us. Samsung and Huawei do not offer three-dimensional facial recognition because they use drop-notched or perforated designs. Therefore, it is not much harder to trick the face recognition of premium smartphones like the Galaxy S10. Still, Apple can improve itself on this. A more advanced and faster-running Face ID will probably please all users. A three-dimensional mapping of advanced depth, which will also help the dual rear camera, will ensure that Apple will deliver even more successful results, especially in object-oriented photographs. Considering Samsung and Huawei’s success in the camera, it is obvious that Apple needs this development. Today’s smartphones are made of a metal body that is compressed between the glass panels, so it is not everyone’s fee to open and repair the devices. However, the day will come and one of the major smartphone manufacturers will offer users official repair kits, repair manual, and affordable spare parts. Then other manufacturers will follow him. Well, first of all, why not Apple? We know that due to the increasing price of the iPhone, users are changing their devices much later. Apple’s officially offering affordable spare parts and repair kits will also significantly reduce the company’s discussion on the service. What is your comment on that?